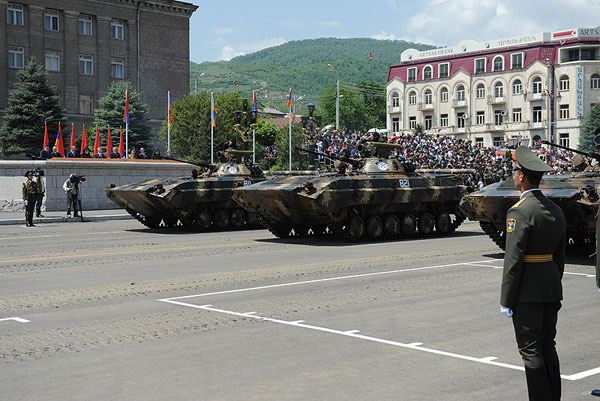 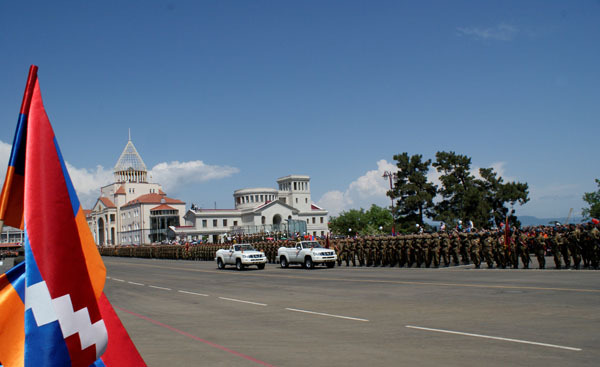 On October 4, 2011 in Echmiadzin (Armavir Dustrict, Republic of Armenia) one more residential building for the Military Personnel was put in commission. 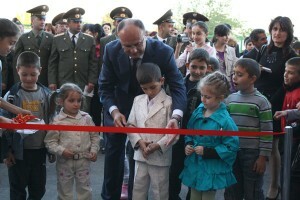 16 families got apartments. 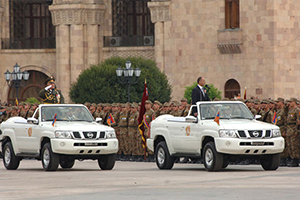 Defense Minister Seyran Ohanyan himself handed over the apartment-keys to the owners. 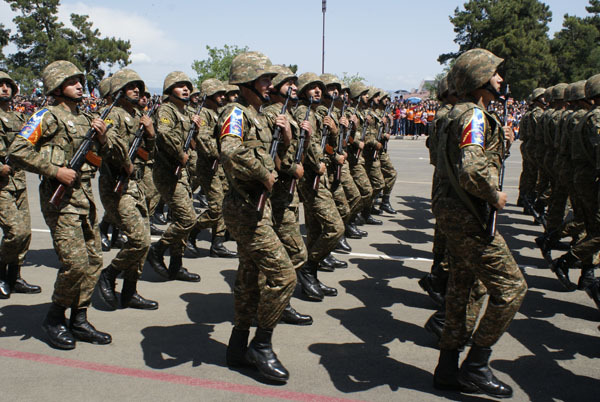 He mentioned that the social and living problems of the personnel, especially the housing issue are always in the centre of attention of RA President Serge Sargsyan and are priority in the Government’s activities. 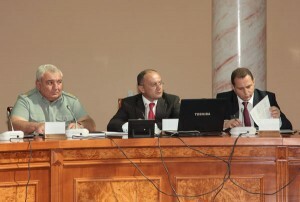 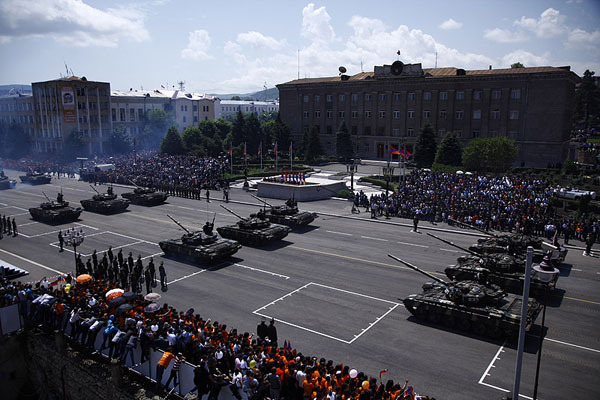 On September 24, issues related to the educational process at Military-Educational Institutes of the Ministry of Defense of Armenia and foreign countries were discussed at the meeting of the Ministry Board. 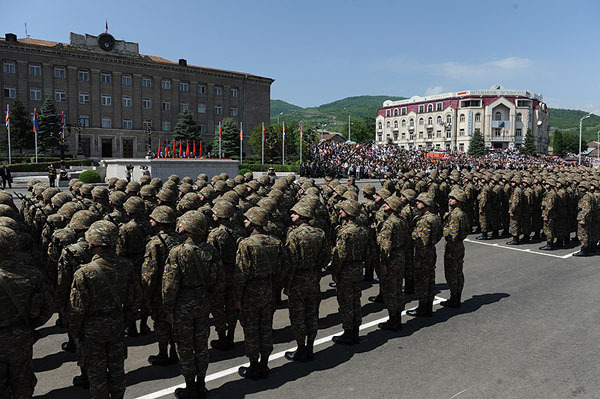 1st Deputy Minister David Tonoyan, 1st Deputy Head of Staff of AF RA general-lieutenant Enrico Apriamov, Head of Human resources and Military Education Department of MOD RA Meher Shirinyan, heads of military institutes, high-ranking militarymen gave speeches. 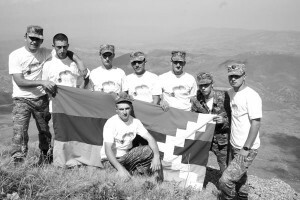 In connection with the 20th anniversary of the Nagorno-Karabakh Republic, the NKR Ministry of Culture and Youth Affairs organized a 2-day pilgrimage to the top of Big Kirse Mountain (2742m). 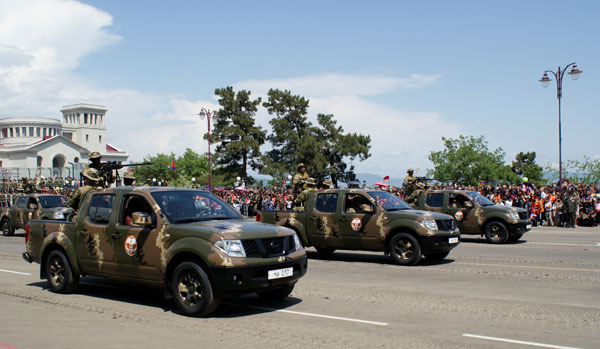 The representatives of NGOs from NKR, Armenia, Georgia, as well as women-veterans of the Artsakh liberation war and soldiers of NKR Army of Defense who were acknowledged the best in service took part in the pilgrimage. 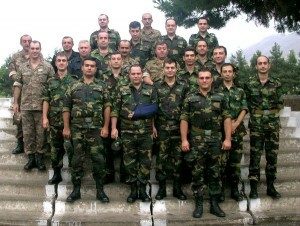 Recently 16 PhD fellows from Armenia did a 5-day volunteer military service in one of the regiments of the NKR Army of Defense. 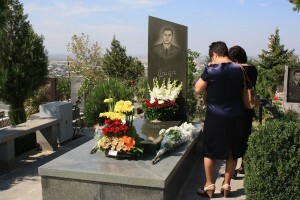 The initiative belongs to Khachik Grigoryan, lecturer of Iranian Studies Department, Yerevan State University, head of scientific net ArmAcad (Armenian Association of Academic Cooperation & Support, NGO).